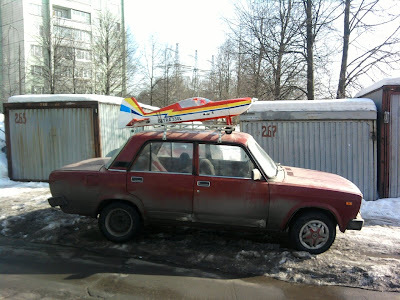 New Flying Car From Russia! This little remote controlled airplane is the latest in a series of experimental planes from Russia! The new wave of airlines. Fly in the comfort of your car! Previous PostMoscow Metro: Now You See Them, Now You Don’t!Next PostMoscow, Russia: Looking Out From The 14th Floor of Our Flats!